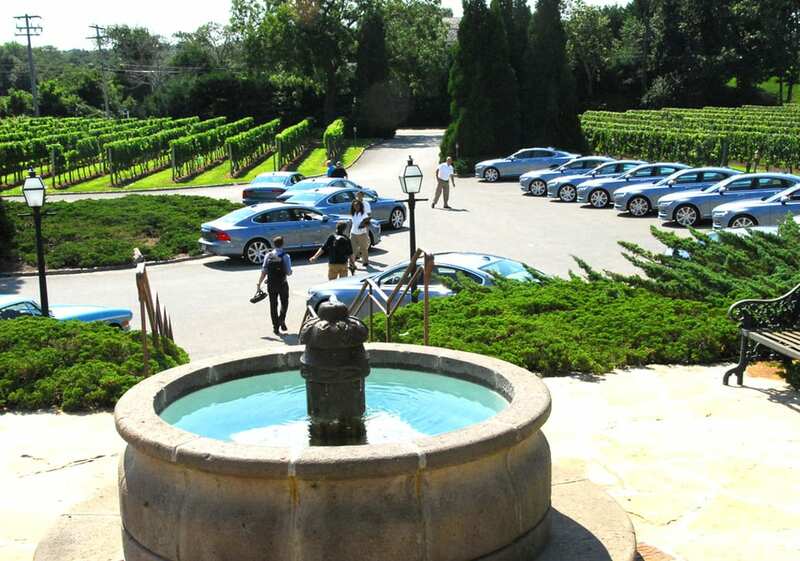 there is no shortage of contenders for newbies in the mid-size luxury market. 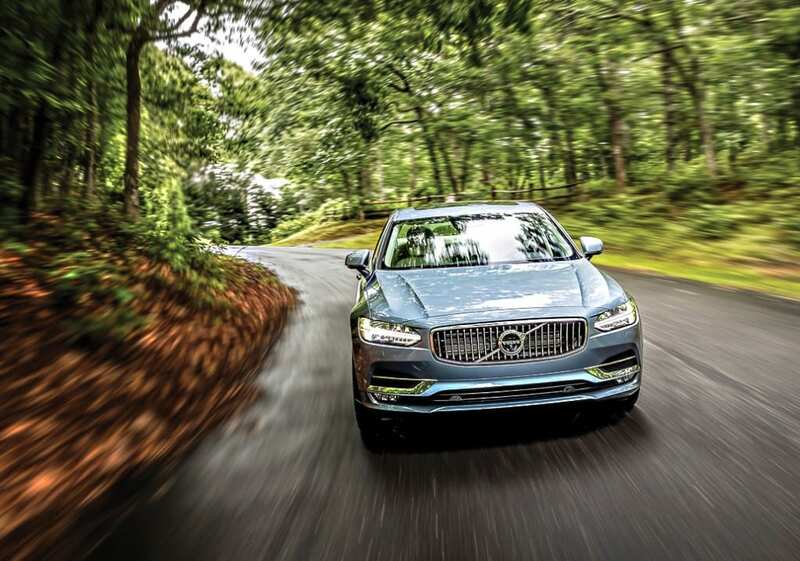 But, it’s safe to say that the Volvo S90 is on solid ground following the success of its XC90, the SUV that has collected the most awards in its category during 2016. 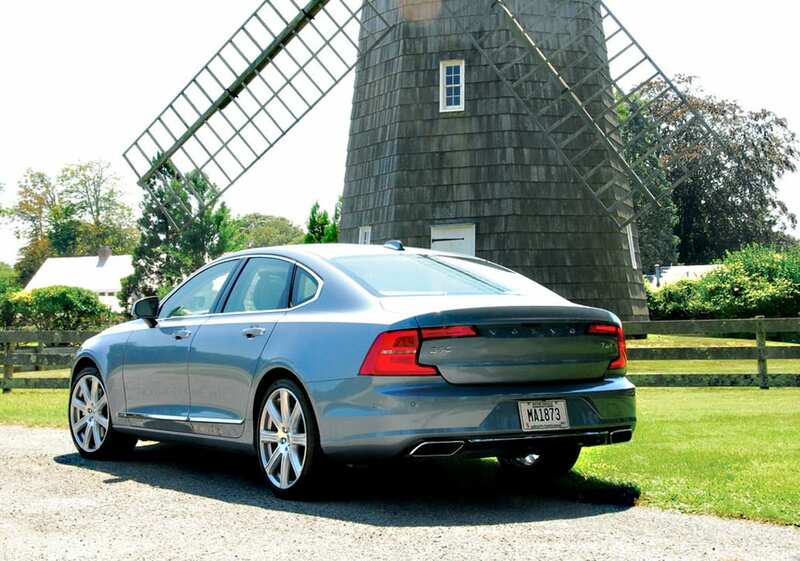 Yes, it was time to test drive one of these Swedish beauties. I flew out of the New York harbour by sea plane, ogling the stunning views of Manhattan; a most pleasant one-hour transfer to the Hampton. 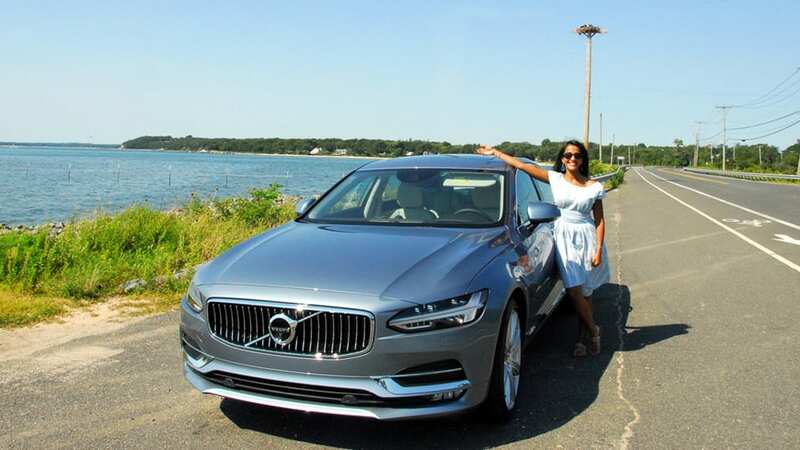 My first encounter with the S90 was to be in the picturesque town of Montauk, at the most eastern tip of Long Island. Our test cars came in an attractive light metallic blue, which contrasted nicely with the light leather interior and smooth natural finished nordic walnut wood. 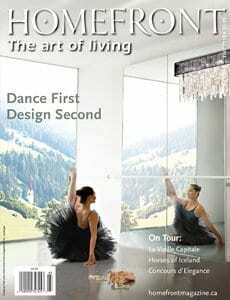 The feel was decidedly, modern Scandinavian. At first glance, I was impressed with the sleek, uncluttered ergonomics and two trim styles, Momentum and Inscription. We were, after all, comfortably ensconced in a vehicle finished with the top-grade Inscription package. 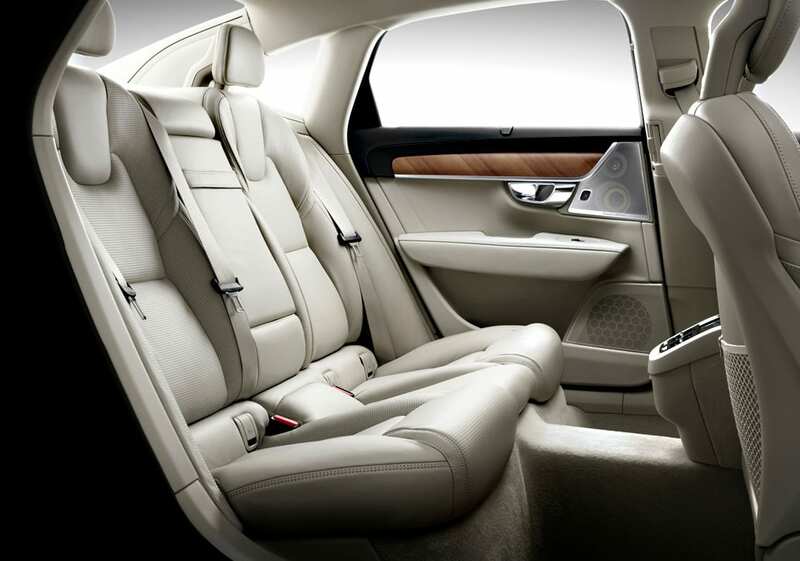 It comes with wonderful, fine Nappa leather seats that easily power-adjust 10-ways. The front seats are heated, and so is the leather steering wheel. The dash design is very clean, with only one small row of instruction buttons. The rest of driver input is via the award-winning Sensus touch-screen, which delivers the best 360O image of any car, I have tested recently. 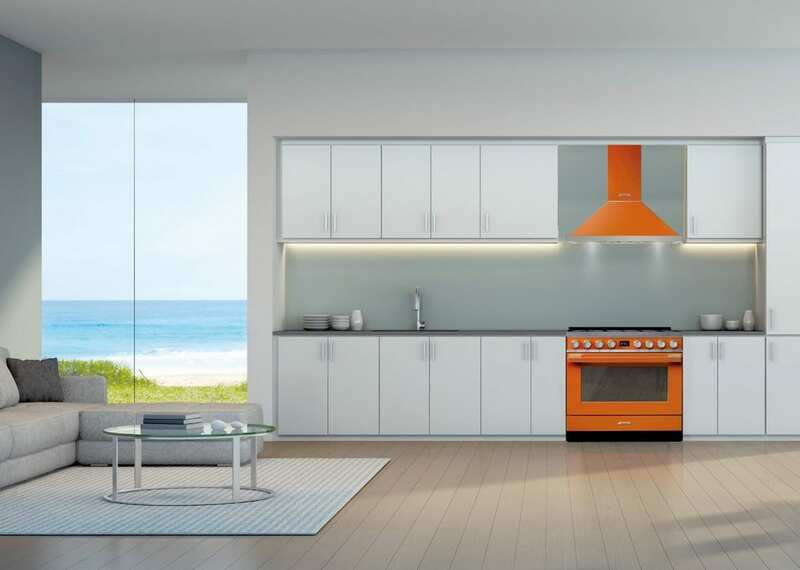 Clean, climate controlled air flows from vertical blades next to the touch screen. 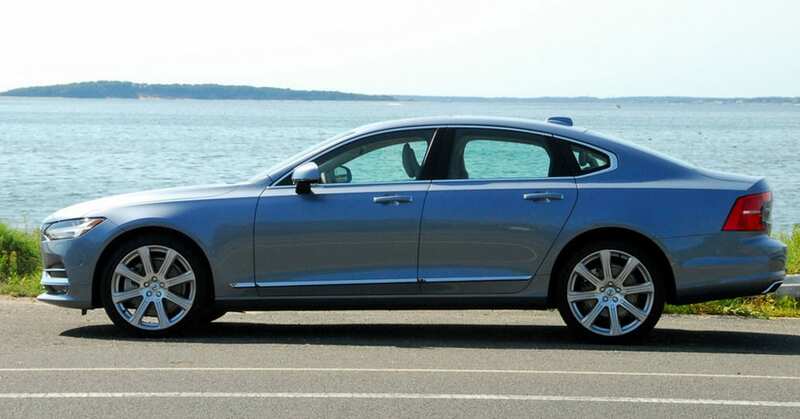 Volvo’s designer, Thomas Ingenlath, has achieved the S90’s orderly elegance with graceful, contemporary lines. Up front, the concave waterfall-style grill design is a retro nod to the iconic P1800 from the 60’s and the headlight shape is reminiscent of the Nordic God Thor’s hammer. 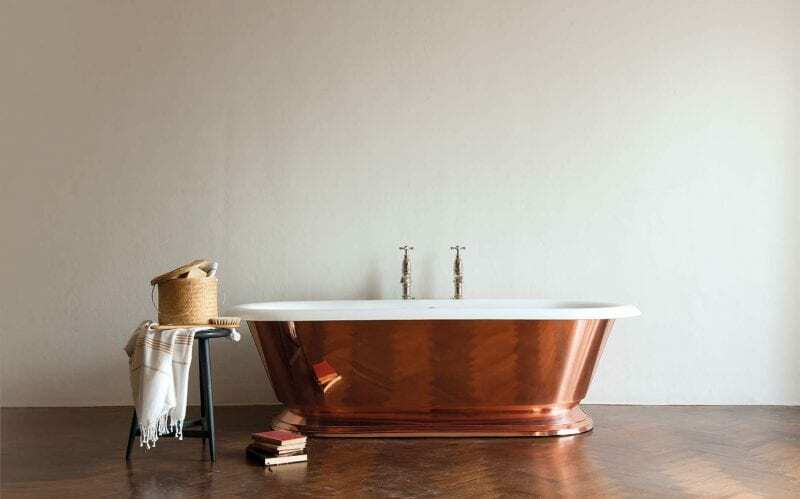 Everything has a distinct purpose…pure Swedish all the way. 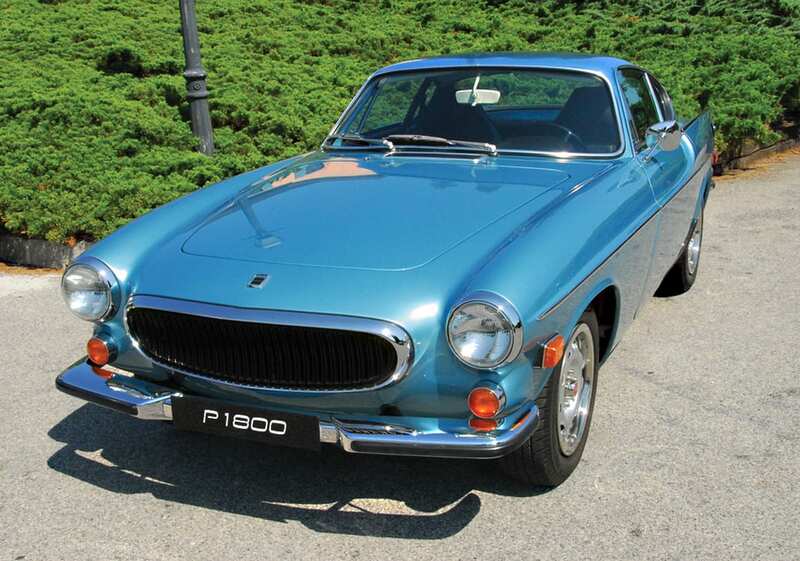 similar design on the legendary Volvo P 1800. When the Volvo brand is mentioned, many of us still associate the legendary brand with ‘safety’. 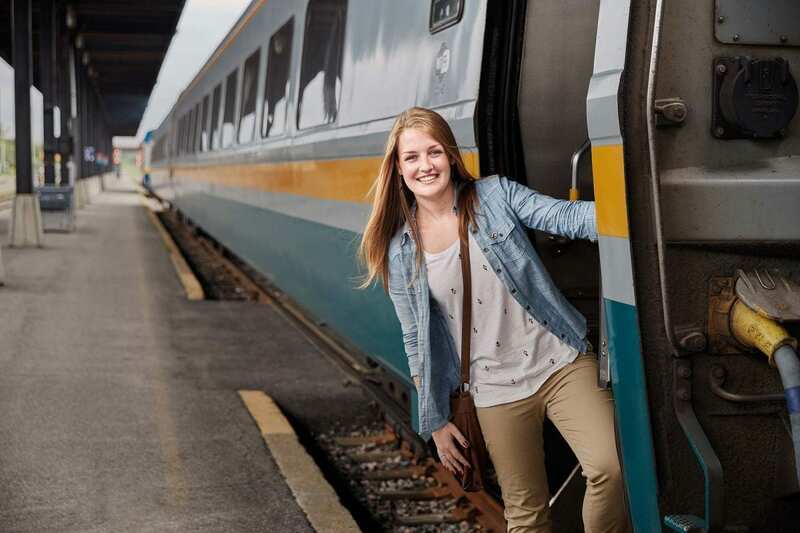 So, it’s not much of a surprise that passenger safety still rides to the top of the priority. 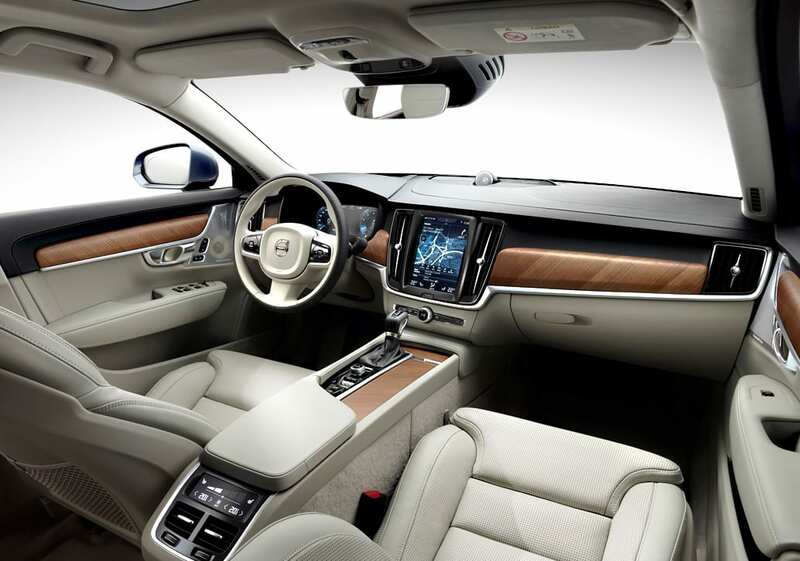 This time however, the company has gone bold one step further with a leading edge vision, “by 2020….no one should be killed or seriously injured in a new Volvo car”. Already today, the S90 is equipped with a ‘world-first’ safety feature that actually detects and warns the driver of that he or she is at risk of having a collision with a large animal, cyclist, or pedestrians. If the driver fails to react, quickly enough, the vehicle is set to apply its brakes automatically. Another first: Volvo’s semi-autonomous Pilot Assist technology is standard equipment in all cars. Once activated, I found it to be a most competent system. It keeps the car in its lane at the selected speed, recognizes other cars and also displays traffic signs ahead. Keeping hand contact with the steering wheel is, however, still required. Bluetooth audio streaming and voice control. Once connected to the CarPlay app, my iPhone was on the touch screen and responding to my voice commands, through my tireless Siri. Sweet! 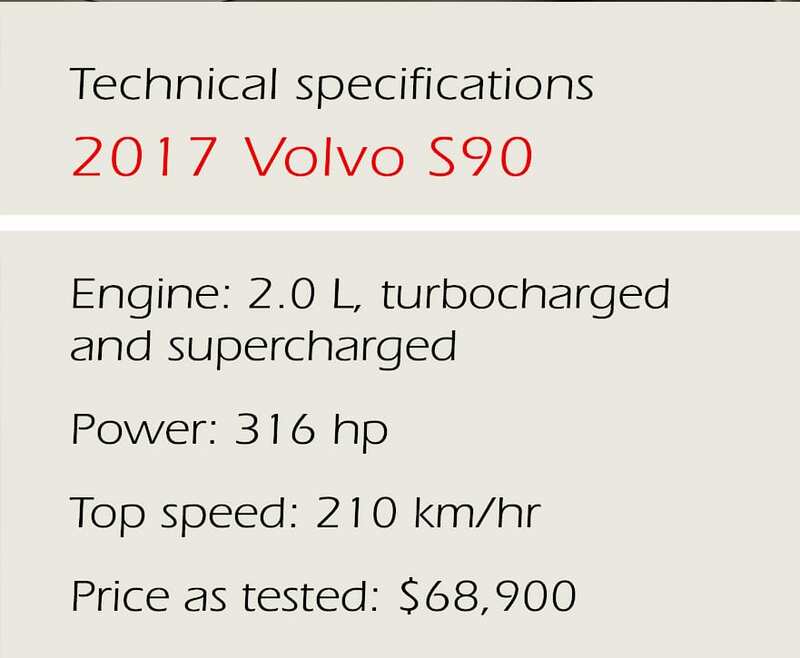 In Canada, all S90 come with and a 2.0L, four-cylinder engine that is both turbo charged and supercharged to deliver 316 hp to all wheels via a smooth 8-speed automatic transmission. This translates into a quite respectable competition matching acceleration of 0 to 100 km/hr in 5.6 seconds and a top speed of 210 km/hr. 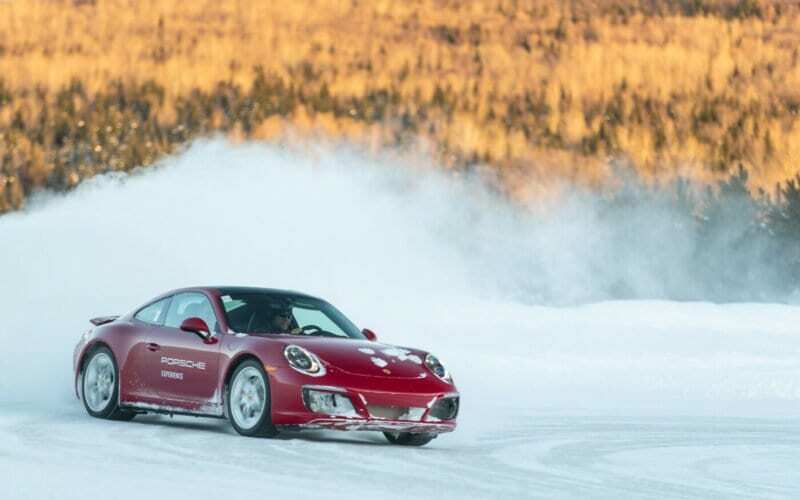 On the road, the power delivery is smooth, thanks to the combination of the turbo and super charger. On the serene small-town streets in and around Montauk, testing of acceleration and cornering was not in the cards. However, I tested the semi-autonomous steering on winding tourist-filled roads and gave Volvo full marks for the S90’s sufficiently tight steering and a balanced ride. 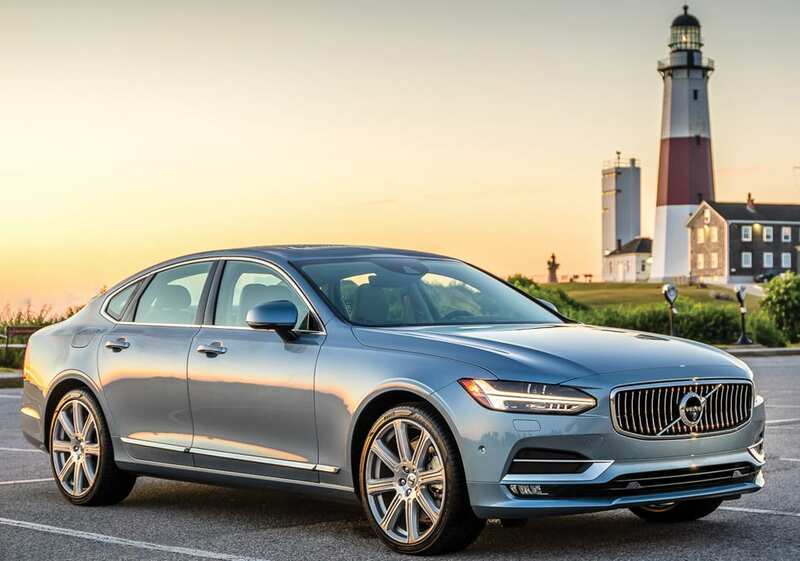 Having tested the XC90 and now the new Volvo S90, I am convinced that “Janteloven” is on its way out and it’s fair to compare the bold confidence and great style of these Swedish newcomers against the rest of the pack.